If you have ever wanted to change the look or way Windows operates we definitely understand the way you feel. Most tweaks and changes are published, but some are not and have to be discovered by users. 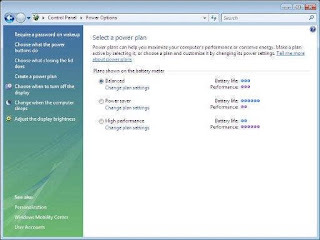 Below is a list things you can do to change the feel and performance of Windows Vista. The Windows Vista installation disk has all of the various editions of Vista included on it. 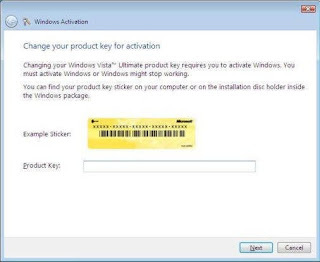 Which version is installed is dictated by which product key you enter during the installation process. At some point it may be neccessary to upgrade your current version, which would require a new Product Key activation. 2. Right click the shortcut and select properties. 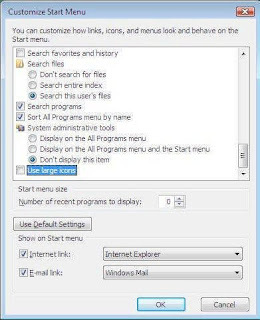 Click on the Shortcut tab to view the window shown below. 1. Change the Target filed to the desired location. 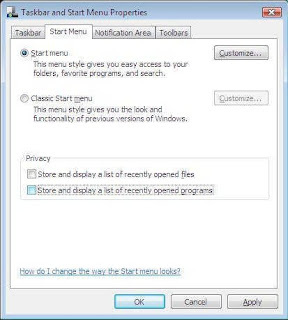 For convenience Windows Vista by default saves a list of recently opened files on the Start Menu. This is designed to make it easier to locate recently used items. Of course displaying these items as well makes it easier for anyone to access them. 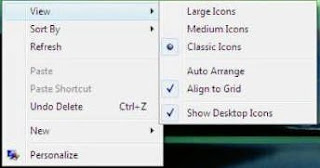 Changing icons located on the Windows Vista Start Menu default. 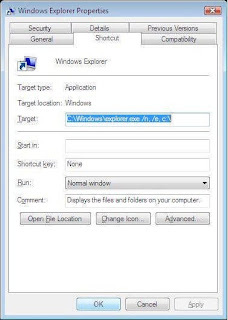 There is no simplified way to add the Windows Explorer icon to the Vista Desktop. The Computer, Recycle Bin, and Control Panel icons can be easily added. 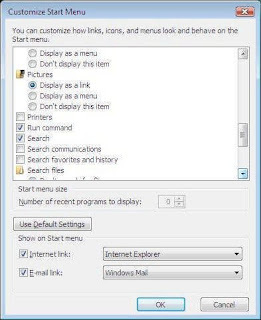 If you would like to add Internet Explorer icon to the desktop you can do it with a Registry registry alteration. Before editing the Windows Registry it is always advisable to make a backup of the Registry file. 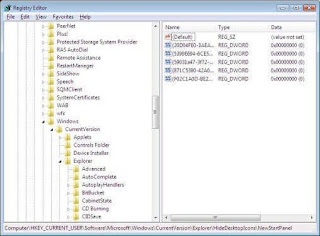 If you are not knowledgable with the Windows registry editing it can result in an operating system failure. 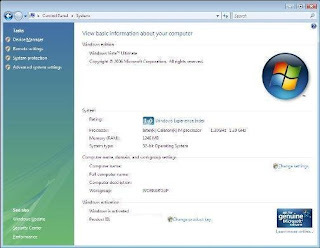 Windows Vista is designed to notify a user any time malware, firewall or virus protection software is disabled or requires maintenance. These constant notifications to update your virus definitions and other software are more of an annoyance. 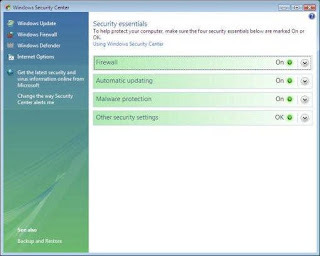 Open the control panel and select the Windows Security Center (See figure below). 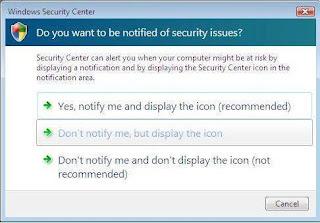 Select “Change the way Security Center alerts me” option (See figure below). 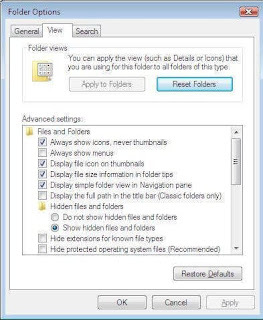 Changing the Folder View options to a preferred setting. 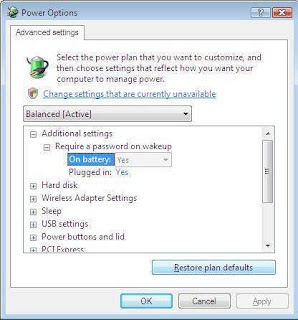 By default, Windows Vista sets the power options to a “Balanced” plan. Tis is normally ideal for battery life. 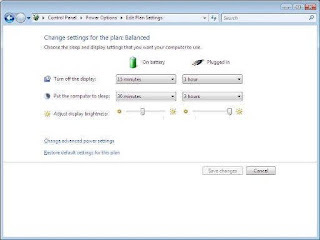 Laptop users can greatly improve performance by altering these settings. By default, the Vista Aero GUI uses “Medium” icons on the Desktop (There is also a Large icon option). Scroll down the list until you find the Run command checkbox and select it (See figure below). 2. Click OK and the Run command will now appear on the Start Menu. The Vista default setting is to present the Welcome Center on every startup. This behavior can be easily changed by unchecking the “Run a Startup” button located at the bottom of the Welcome Center as shown in the figure below. Some users will find the Sidebar a useful utility. 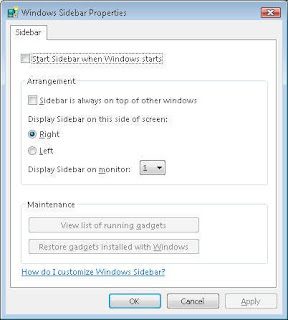 Most users may desire the extra resources used by sidebar to be allocated for other applications or for the operating system.Follow the directions below to disable the Windows Vista sidebar.